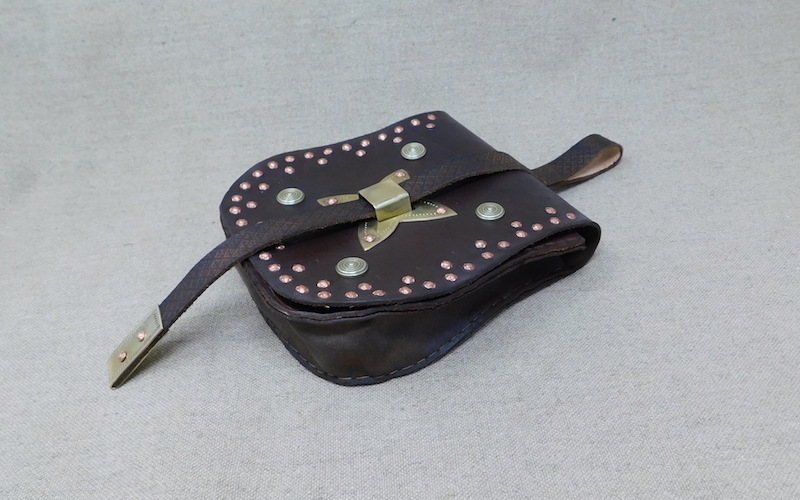 3 pouches based on various finds, but not slavish copies of any one piece, but what is notable is the way two of the three are fastened using the strap passing through a bracket and the large amount of metal work involved on the front panels. The seaxes are also based on various finds, though again not slavish copies. 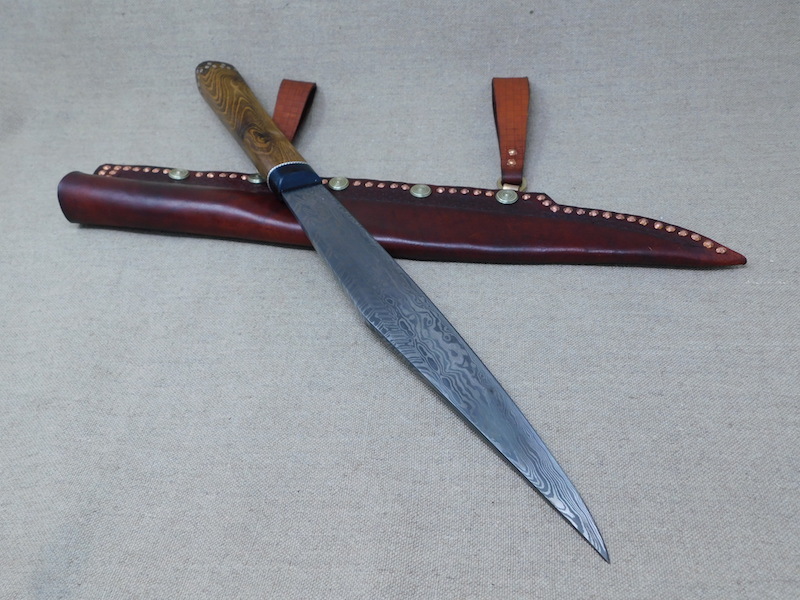 The blades in all cases are by Owen Bush and all other work is by myself. 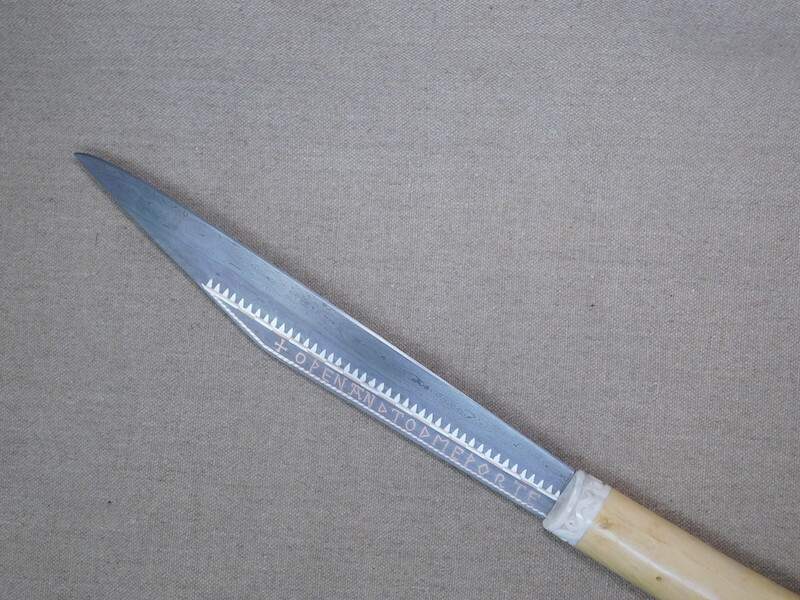 The second seax is based loosely on the Aachen seax and has a piled edge with a thin band of wrought and then a pattern welded back. This has been fitted into a simple horn grip finished with a brass cap. 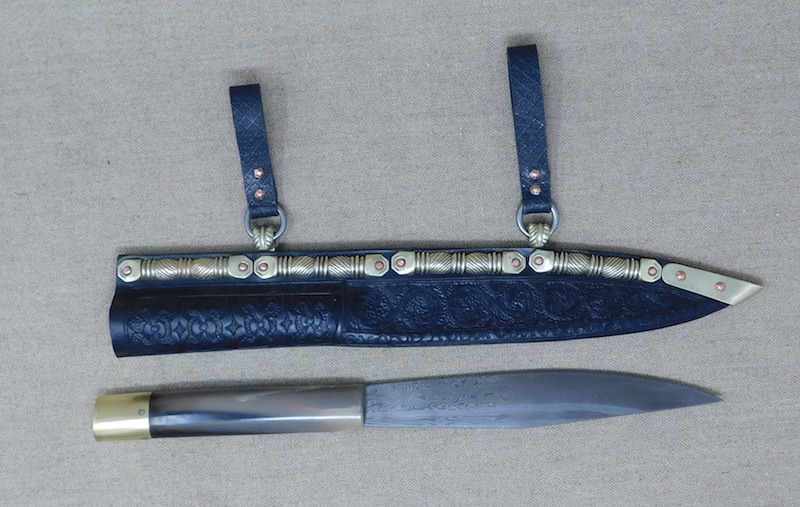 The sheath is decorated in carved patterns and has custom sculpted brass plates along the top and decorated brass suspension rings. 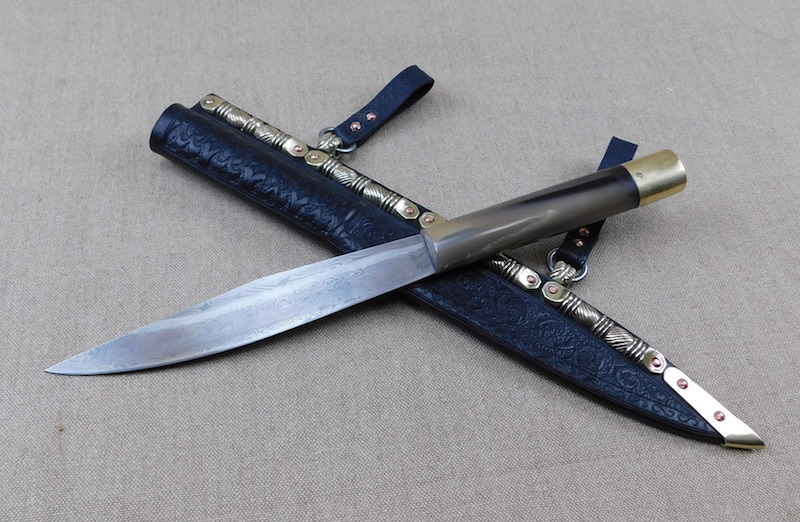 The third seax is more of a brute and has a heavily pattern welded blade and has been fitted to a laburnum and horn grip with some silver inlay. 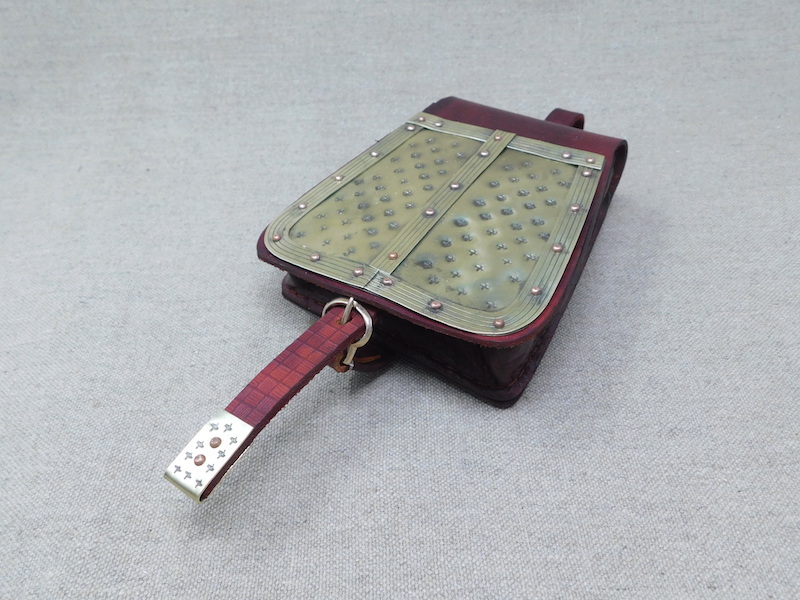 The sheath to match this is based on one from Durbheim and is held together completely with studs and rivets. I hope you like them and of course and questions or comments; please fire away. 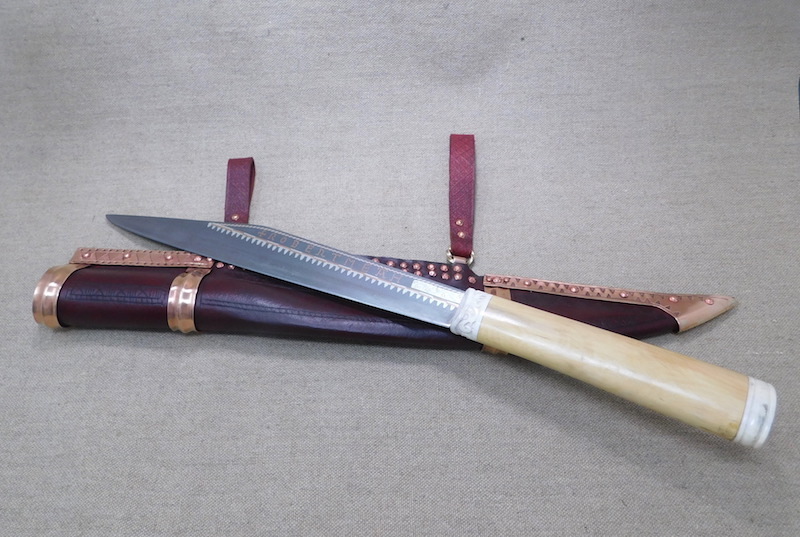 Damn you Tod, that Aachen seax is lovely but the sheath work is brilliant, especially the fittings. These seaxes are all fabulous. Great job and beautiful inlay. 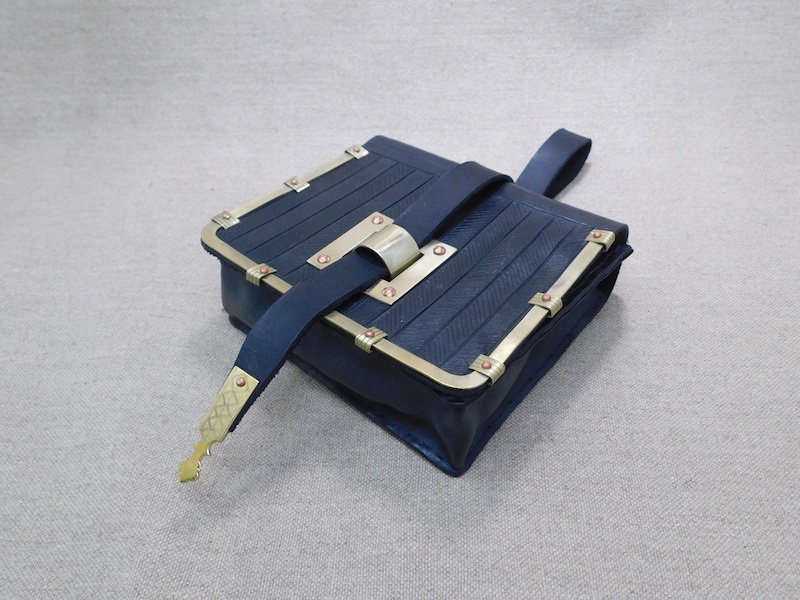 The labumum and horn handles is especially attractive. Those pouches are fantastic, Tod! Maybe I am biased, but they look better than any modern purse design I have seen in awhile. 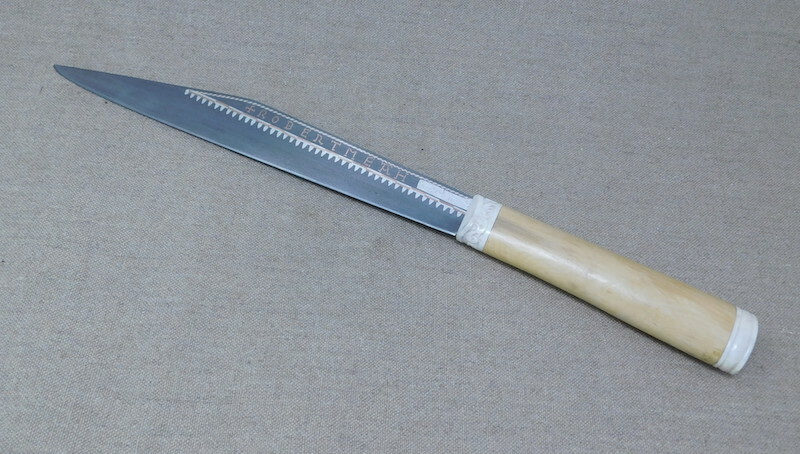 The way you signed that first seax is too clever. I have a question which is tangentially related to the topic. Why is some horn black and other horn gray to translucent? I've wondered about this. What is approx. size of each sax? Excellent all around (including the purses), thanks for sharing. Buffalo horn is black and was easily available in Europe and ox horn near the tips is black and then as it gets further from the tips becomes a sort of 'tortoise shell' and more translucent with browns, golds, creams and greys. 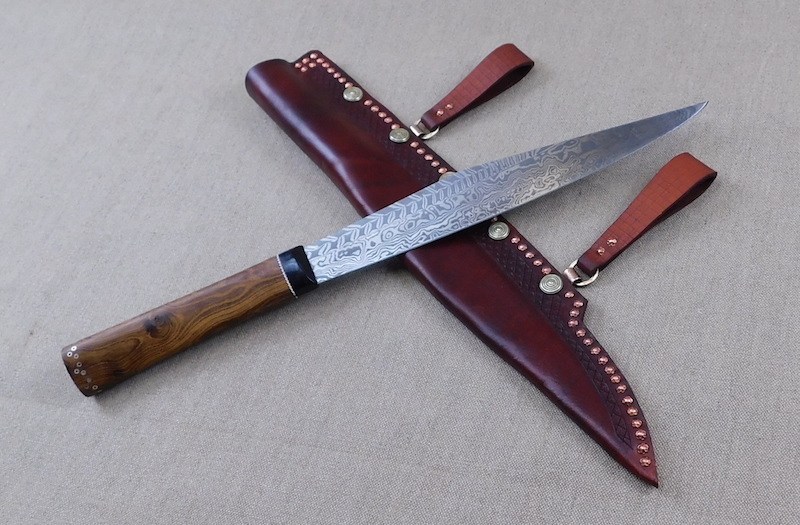 They are now in Canada, so can't measure but the bigger two were almost exactly the same and were around 14" I think and the Aachen was around 10" I think, maybe 11"
This wasn't really a collaboration as such, I ordered 1 blade specifically for the inlay and the client ordered the other two from pieces Owen had. I would say a collaboration is when we both set out on a project and develop it together, but in this case he just supplied the blades. We are good friends though and ocassionally do work together and usually it is just that we would both like to work on. Tod, those are all great, but I really love the last two. The horn handle is a great feature, very nice to see the historical method. The last one really speaks to me. Thanks for sharing.